Lovers of natural beauty and spectacular landscapes will be comprehensively catered for when it comes to spending a holiday in Corsica. From the island's breathtaking mountain interior to its glistening coastline, Corsica is well deserving of its 'Isle of Beauty' nickname. When it comes to soaking up this natural splendour, the island affords some incredible and accessible vantage points and views to its visitors, whether from the top of a mountain pass or from the balcony of one of our properties, you'll find endless opportunities. 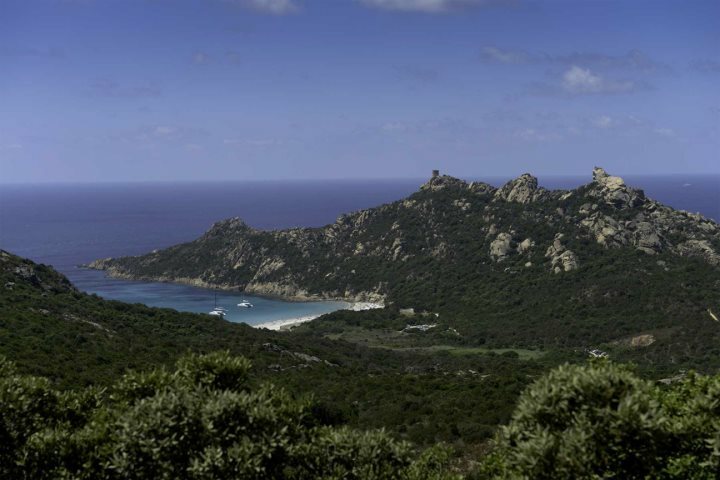 To help you on your quest of discovering the very best of the island's vistas, we've compiled our very own list of the top 10 views in Corsica. The view from the surrounding cliffs towards the fortress town of Bonifacio, particularly those enjoyed from the Pertusato lighthouse, are simply stunning. With the town seemingly perched precariously on the edge of the clifftop, there is a fairy tale vibe to this view, enhanced even further during sunset. 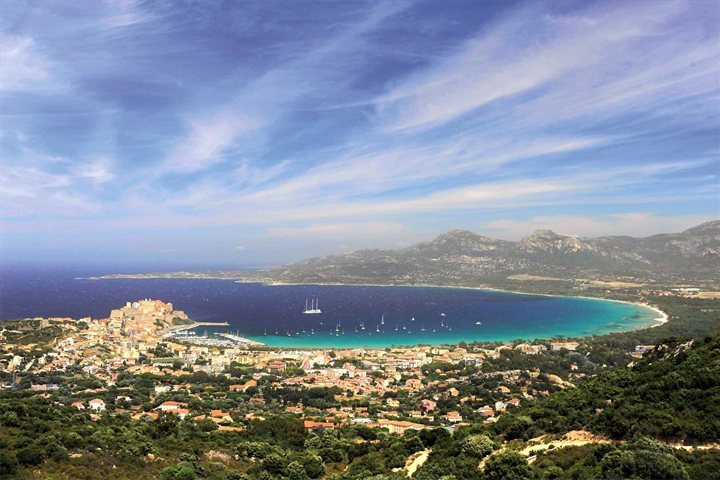 Showcasing the beauty of Calvi's coastline and the historical layout of the town's Citadel, the views afforded from Notre Dame de la Serra across to Calvi Bay are magnificent. From the smattering of boats and the dominance of the Citadel, to the azure water and surrounding mountains, this is one view you have to capture. Best enjoyed from the road that passes through this southern area, the coastal views enjoyed across the mountains and off the south of the island are simply spectacular. If you're feeling extra adventurous, take the drive down towards the beach where you can spend a relaxed afternoon. 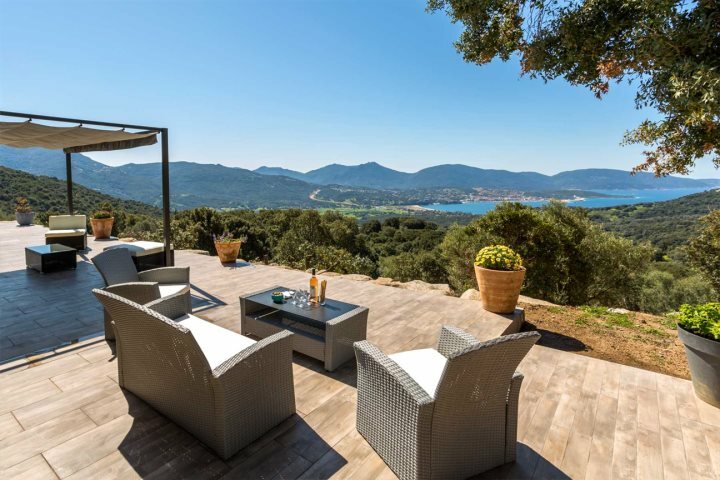 The perfect vantage point for enjoying views across the Calanques de Piana, as well as the other surrounding mountains and distant coastal scenery. 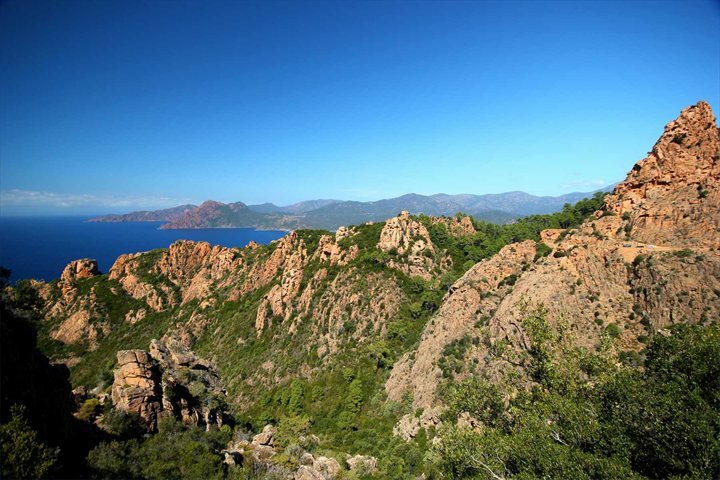 The Gulf of Porto is a particularly scenic region of Corsica, also home to the Scandola Nature Reserve, best viewed from the water. 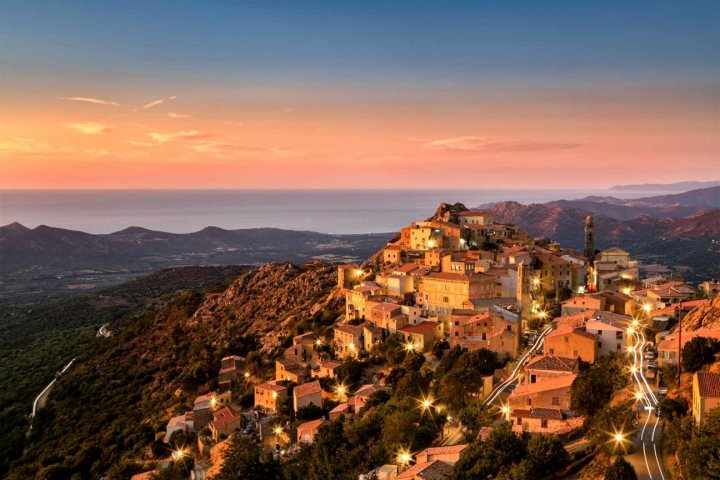 In the mountains discovered inland from Calvi, perched high above the distant coastline, visitors will encounter a collection of traditional villages. 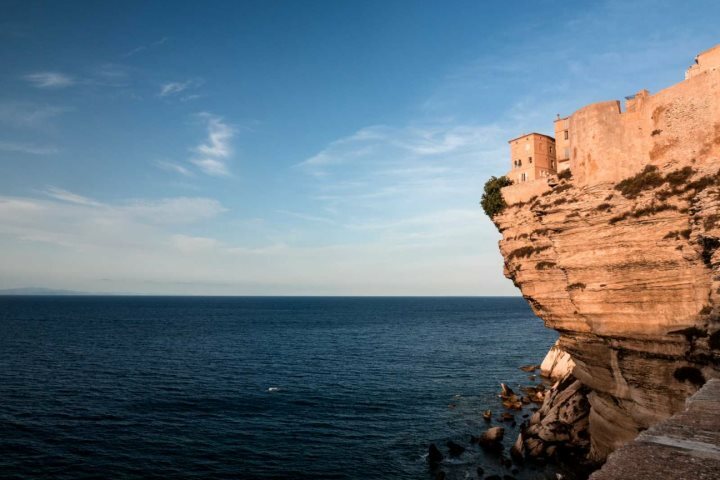 Whether you find a vantage point from one of the villages across to Calvi and the coast, or you gaze down onto a village with its smattering of buildings and intriguing architecture, you'll find the views are well worth a photo. 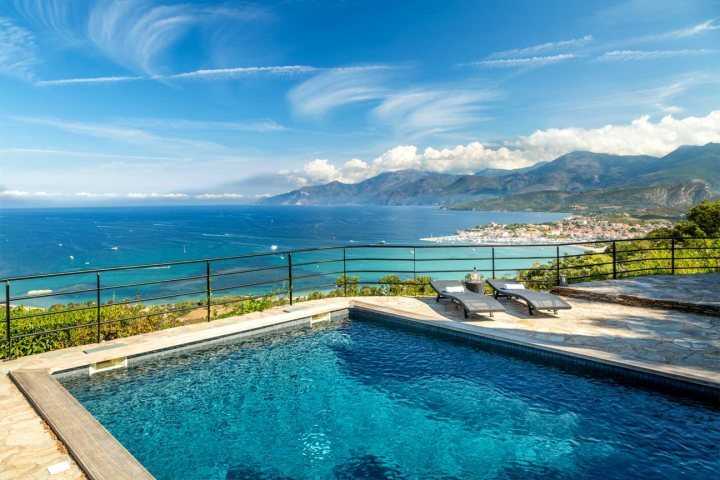 Perched on a hillside and enjoying an incredible panoramic view of the Gulf of St Florent and the Désert des Agriates, L'Ancre Bleue's views will constantly take your breath away. You'll be able to enjoy this vista throughout your stay here, whether soaking in the inviting or pool or at breakfast in the outdoor seating area. Found nestled in the hillside and boasting a wonderful pool and beautiful natural surroundings, a stay in this olmeto-based property will be unforgettable. Add to this the jaw-dropping views of the bay across to the Valinco Gulf, enjoyed from the outdoor dining area and the pool, and you're left with no box unchecked. 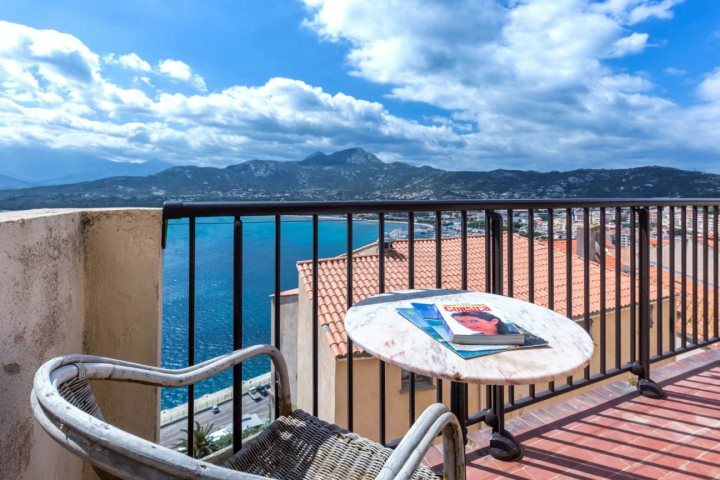 Situated in an authentic building in Calvi, boasting an advantageous top-floor position within the Citadel of Calvi, there are countless rewards from a stay at this comfortable apartment. 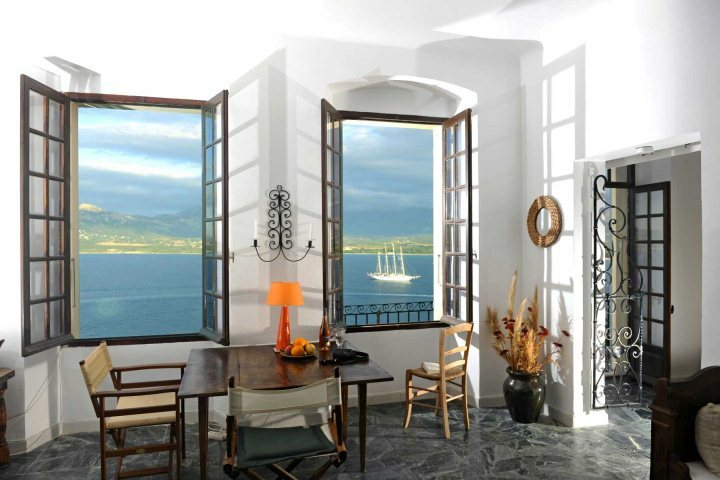 The views enjoyed from the apartment's terrace are fantastic, peering across Calvi Bay to the distant mountainous backdrop.. This stunning stone house, set high above L’Ile Rousse on a mountainous ridge within a sedate and scenic location, the authenticity and comfort provided by this unique property is of a fantastic standard. The views are mesmerising, incorporating so many elements of the surrounding landscape, from the undulating hillsides and mountains, to the glistening coastline below. Another superbly placed apartment located in the historic Citadel of Calvi, this property provides an ideal base for exploring the history and natural beauty of the local area. One of the prized assets of this apartment is its wonderful sea views, and what better way to soak them up than from the living and dining area over a bottle of local wine? 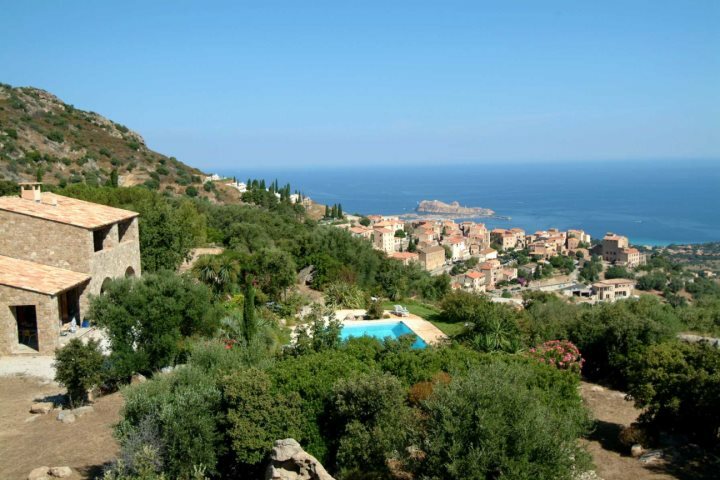 If you'd like to see what kind of views are afforded by the other properties in our vast collection, take a look at all our Corsica accommodation on our dedicated accommodation page.